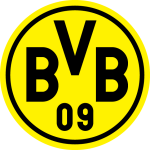 Nurnberg vs Dortmund predictions for Monday’s Bundesliga fixture at Max-Morlock-Stadion. After a string of poor results, the visitors will be looking to bounce back. Much of the same can be said for the hosts. Continue reading below for all our free tips and predictions. The Bundesliga continues to be an unforgiving league as far as Nurnberg are concerned. Monday’s hosts, who currently sit looking up at each of the other 17 top-flight teams, are now without a win in 15 league games. They did earn the slightest bit of respite when holding Bremen to a draw a fortnight ago, but they were unable to take a step in the right direction last time out when losing by two goals to nil away at Hannover. In all honesty, it’s tough to put a positive spin on Nurnberg’s current predicament. For once they did limit a side to not so many chances when drawing 1-1 with Bremen, but they were once again woeful going forward, while they struggled at both ends of the pitch against Hannover last time out. One thing that can be said for Monday’s hosts is that they’ve given a lot less away at home than they have on the road. In fact, some of their recent defensive efforts at home haven’t been too bad at all. Even at Max-Morlock-Stadion, they struggle massively to get going offensively, but they have frustrated teams a lot more in front of a home crowd, as their last five expected-goals against figures of 0.96, 1.65, 0.55, 0.88 and 0.92 suggest. Moreover, they’re surrendering an average of just 1.03 expected goals at home this season, which is far from poor. As the betting suggests, Dortmund should have more than enough quality to come out of this match with all three points, though if we look at their overall efforts on the road this season and consider them in conjunction with the fact that Nurnberg have kept things reasonably tight at home of late, then it’s easy to see the visitors winning far less convincingly than the pre-match prices would suggest. Dortmund, whose attacking powers are below what they can be at present thanks to both Marco Reus and Paco Alcacer being out injured, have only won one of their last three away matches, while they haven’t scored more than a single goal on the road since beating Schalke back in early December. Furthermore, Dortmund are averaging just 1.19 expected goals for away from home during the current campaign, which doesn’t exactly tell us that they’ve been creating scoring opportunities at will. At the prices, the bet that stands out is ‘Dortmund to Win & Under 3.5 Goals’. Quite simply, Nurnberg, who’ve scored just three goals in their last six at home, lack the offensive quality to really hurt Dortmund, but they can retain some dignity. The visitors have more than enough quality to come through, but they shouldn’t be expected to do so in high-scoring fashion, especially since two of their most influential attacking players are missing at present. What’s more, as narrow victories over Leipzig, Schalke, Mainz and Wolfsburg suggest, the visitors have made something of a habit of grinding out wins without going mad on the road. Nürnberg’s 7-0 loss at Dortmund in the reverse fixture equalled their club-record defeat in the Bundesliga (also 7-0 in Stuttgart in November 1983). Nürnberg have failed to win any of their last 12 Bundesliga games against Dortmund (D3 L9), claiming victory in just one of their last 29 top-flight clashes with BVB (D10 L18) – a 2-0 home win in November 2007. 12 of the last 13 Bundesliga clashes between the first and last-placed sides have ended in victory for the league leaders (including each of the last six) – the only exception is Ingolstadt’s 1-0 win over RB Leipzig in December 2016. Dortmund have scored more Bundesliga goals than any other side this season (54), while no side has netted fewer than Nürnberg (17, same as Stuttgart). 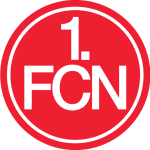 In fact, Borussia have scored just two fewer goals in the final 15 minutes of matches (15) as FCN have overall. 1. FC Nürnberg haven’t won any of their last 15 Bundesliga matches (D4 L11). The only time they have experienced a longer drought in the top flight was in their winless first half of the 2013-14 season. With just 12 points after 21 games, Nürnberg are suffering their worst ever Bundesliga campaign. Each of the 10 teams that have had a maximum of 12 points at this stage of a Bundesliga season ended up being relegated. Nürnberg have gone eight Bundesliga home games without recording a victory (D3 L5). They’re one away from equalling their club record of nine straight Bundesliga home fixtures without a win (most recently from March 2003 to September 2004). Just like in their 1-1 draw with Frankfurt the week before, Dortmund dropped points from a winning position in their 3-3 draw with Hoffenheim, resulting in them going two league games without a win for the first time this season. Dortmund’s Jadon Sancho scored against Hoffenheim last time out, making him the youngest Bundesliga player ever to reach eight goals in the top flight (18y 321d). Dortmund’s Mario Götze scored his 50th Bundesliga goal on the last matchday. Götze has been involved in five goals in his last five league games (2 goals, 3 assists).